For two decades, the Annual Statesmanship Awards Dinner hosted by the U.S. Association of Former Members of Congress (FMC) has recognized outstanding individuals and organizations who exemplify courage, commitment, passion for furthering democracy, and who have demonstrated a life-long dedication to service. 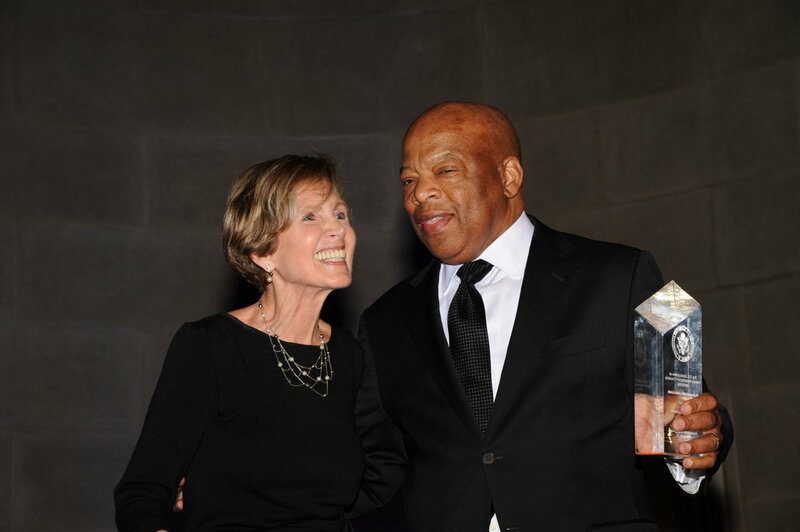 This award is bipartisan and given each year to Democratic and Republican current or former Members of Congress to recognize their distinguished Congressional service and commitment to improving the lives of others. Past honorees have included President George H. W. Bush, Senator Susan Collins, Majority Leader Bob Dole, Secretary of State John Kerry, Leader Bob Michel and, most recently, Senator Mark Warner, Representative Anna Eshoo, Representative Lamar Smith, and Representative Bob Goodlatte.